Candidates should be suitably qualified and have three years working experience in a similar post. The ideal candidate shall be able to develop a trusting environment, driven by commitment, talent and performance management. He or she shall be a good organiser to set up systems and procedures, enjoy leading people and make the organisation an employer of choice. 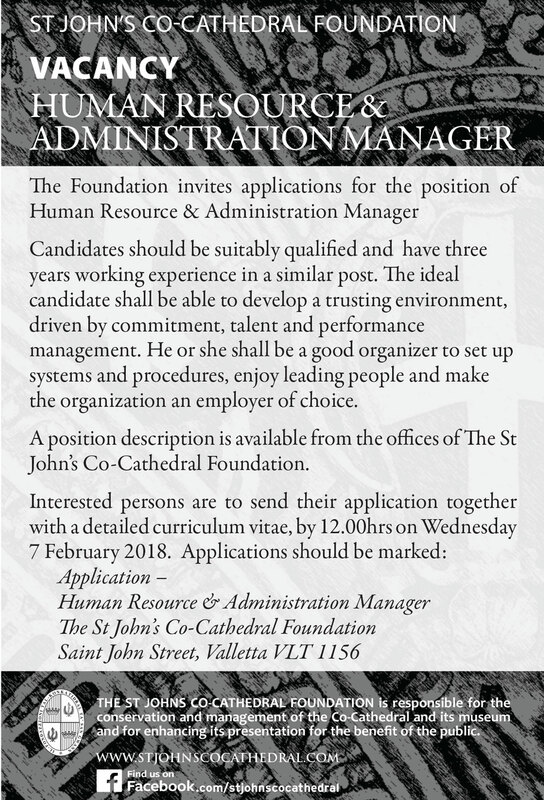 A position description is available from the offices of The St John’s Co-Cathedral Foundation.